Q: Windows Update says three important updates are available. But the downloads always fail, leaving an error code of 646. I’m frustrated. Can I simply delete those updates? If they never install, what’s the point of my computer continually reminding me that they are available for downloading? What do you recommend? A: Some updates not only refuse to update, they won’t go gently away into the good night. Instead, Microsoft’s nag system kicks in, telling you to try again. And when you give it another try, Windows Update botches the update yet another time. Click on Windows Update from the Start Menu’s Control Panel or All Programs area. 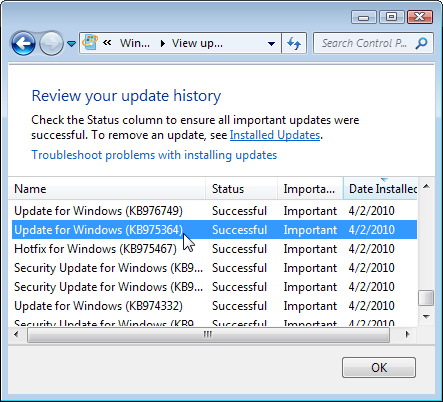 From the left-most pane, click View Update History. Finally, look for the all-important KB number, pointed at in the figure below. Every update comes with its own KB number, short for Knowledge Base number. 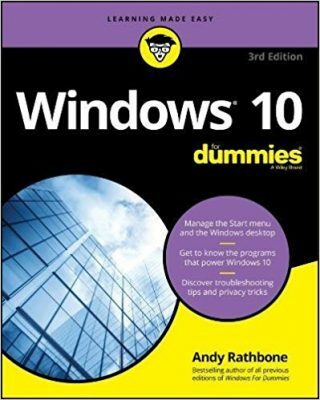 The Knowledge Base refers to Microsoft’s mammoth online encyclopedia of problems and solutions. That particular KB number lets you find an explanation of why that update was issued, and how it fixes the problem. And, if you’re lucky, the KB page includes a link where you can simply download the update and install it yourself, safely away from the fumbles of Windows Update. Googling any KB number usually turns up the Knowledge Base page, and you can search for KB numbers directly at Microsoft’s Knowledge Base. In your particular case, the error code points to KB2258121. And on that page, you’ll find paydirt: a Knowledge Base page with a built-in Fix-It button, shown to the left. By clicking the Fix-It button, Microsoft takes over and automatically fixes the problem, letting the updates finally install during the next session. Posted: September 13th, 2010 under Error message, Windows 7, Windows Vista. Thanks so much for this fix! I’ve had this problem for months, been on the forums and found nothing that worked. This was clear, concise and EASY. The Fix worked …Thanks So Much!